We have discovered some munitions, signals technologies and further military material from the Second World War during excavation works. 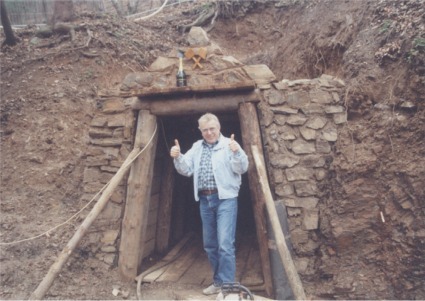 One of the most interesting discoveries are the remnants of impregnation kiln and pieces of artificial rock, which had been tested in the area of Hradištko by German pioneers and was supposed to camouflage the treasure. 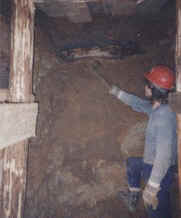 We have also noticed many tunnels from medieval times, monuments of gold mining in the area. Some of them were marked by additional adaptations in later periods.